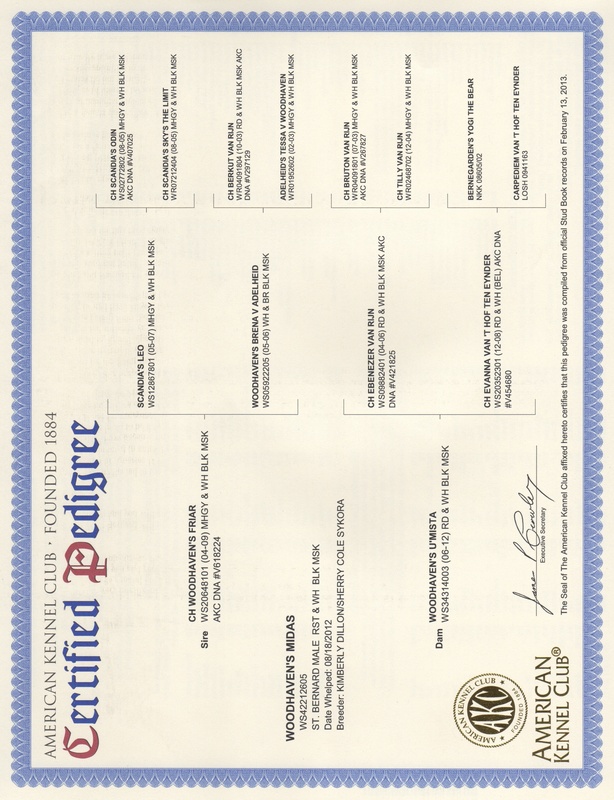 Click HERE to see Midas's AKC Pedigree. 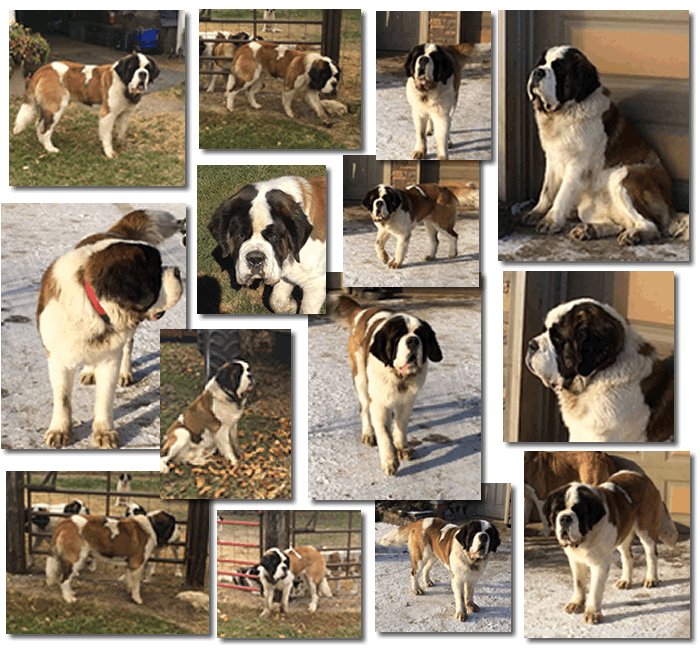 WoodHaven's "Midas" is a wonderful example of the lifelong breeding efforts of Sherry Cole-Sykora of WoodHaven's St. Bernards.This young, rough coat male is very correct in his conformation, head type, size and disposition. He is super friendly, easy going and laid back. His coat is a beautiful darker red-brown, outlined in black, and he possesses a completely black mask. Truly an exceptional male for us to be able to add to our home and gene pool!